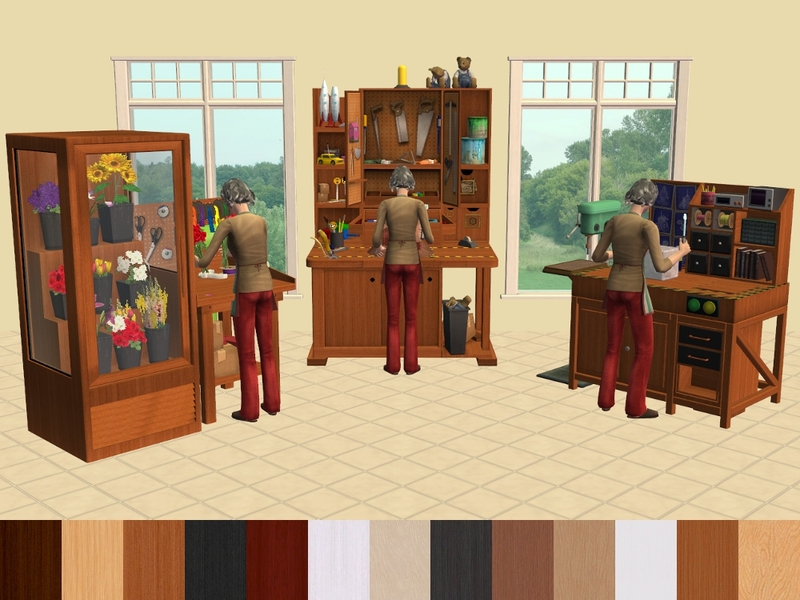 Recolours of the 'OFB' - The Crazy Fun Toybench From Craftin' It Industries, The Non Deadly Robot Crafting Station and The That Smells Great Floral Work Station From Craftin' It Industries in AL Wood, MALM and Seasons MedOak and Pine colours. Bonus: Steel recolour of the Crazy Fun Toybench From Craftin' It Industries and That Smells Great Floral Work Station From Craftin' It Industries to sort of match the Non Deadly Robot Crafting Station From Craftin' It Industries. These are not base game compatible, Open For Business is required! Found: Buy Mode > Hobbies > Miscellaneous. Price: �1500. Found: Buy Mode > Hobbies > Miscellaneous. Price: �2000. Found: Buy Mode > Hobbies > Miscellaneous. Price: �1000. These are really lovely and will get a lot of use in my game, many thanks!! !